From soft and sandy to hard as a rock, this walk-behind tracked trencher is designed to perform. 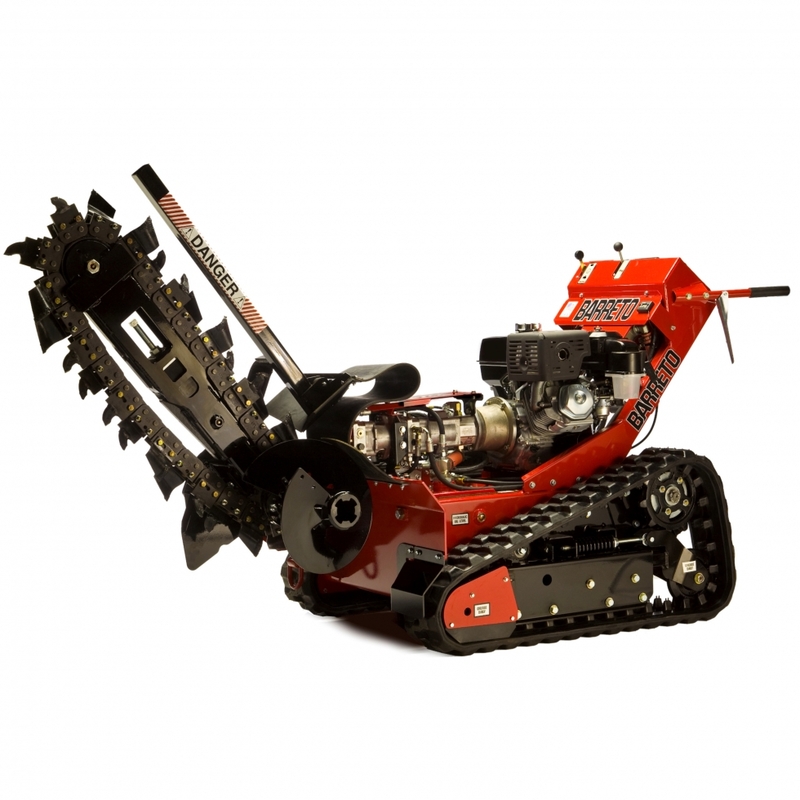 The TK trencher features a 6" wide track that creates 238 square inches of footprint for each track, providing excellent traction on wet soil, clay or steep terrain. The operator friendly TK controls make operating a breeze. The safety clutch on the handlebar engages and disengages all hydraulic power to the track drive and digging chain without killing the engine or using micro-switches. The set and go controls eliminate fatigue often caused by other machines that require you to maintain constant pressure on the speed controls. Just get up to a comfortable trenching speed and it maintains that speed until you want to change. It is simple and safe for the operator and low maintenance for the mechanic. The TK features an open design intended for simple maintenance, decreasing time spent on repairs and maintenance. Electric start and hydraulic oil cooler are standard on this model.